DAMIAN: Russ, before we start the interview, I’ve been thinking that we’ve mentioned The Beatles, Tony Hancock and Carry On films quite a bit over the years and perhaps, well, maybe we should mention them a little less from now on. Would that be alright Russ? Night lit. 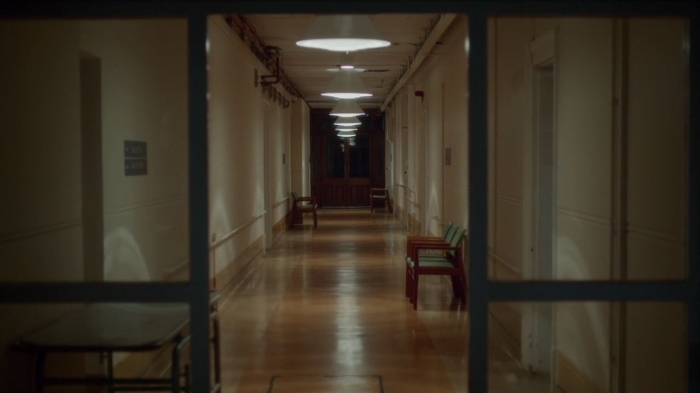 An empty corridor. One bulb flickers. Mantovani’s Strings playing ‘Charmaine’ fills the air. The sickly sweet scent of putrefaction in three-quarter time. We float through the deserted galleries. Operating theatre. Instruments laid out ready for use. DAMIAN: The exterior shots of Cowley General Hospital looked remarkably familiar, where might we have seen the location before? RUSS: Ho ho. 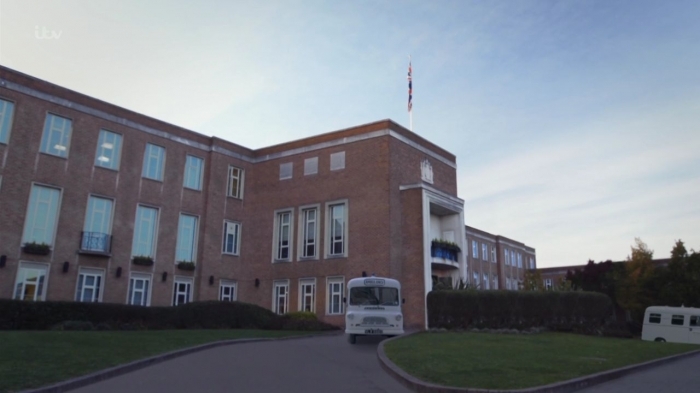 Well, it’s Maidenhead Town Hall – which, as some eagle eyed viewers correctly deduced, was the hospital exterior in Carry On Doctor, Carry On Again Doctor – and I believe appeared briefly in Carry On Camping. Sadly, the frontage has had a bit of a make-over in the intervening years – so we couldn’t have ambulances pulling up outside, but enough of it survives that it’s still recognisable. DAMIAN: I had terrible trouble with my ears as a child and was in and out of hospital on regular occasions throughout the late seventies and early eighties so on the one hand, I recognise the kindness, good humour and cheerfulness of kind doctors and nurses, the saucy winks and ding dong mentality of some of the male patients evoked so wonderfully in your script, but what particularly resonates is that dreaded moment when visiting time is over, Mum has to leave you with just a kiss, a copy of the Beano and the ‘obligatory grapes in a brown paper bag’ to see you through the long night ahead. Then, lights are replaced with shadows and strange, unfamiliar noises – much humming and distant footsteps constantly marching back and forth. We recently spoke about department stores as palaces of wonder and delight, but also of those inherent dark corners and backstairs worlds. 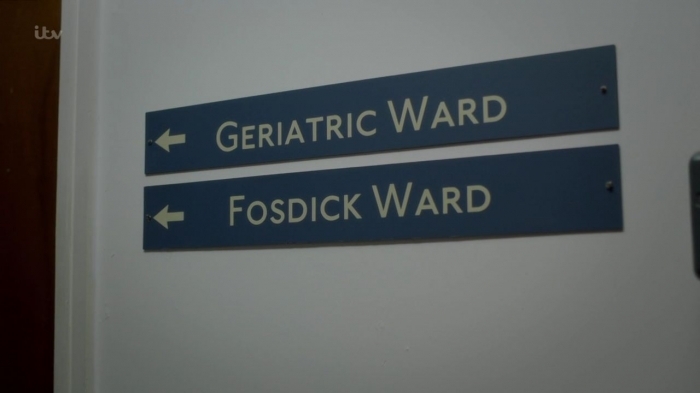 It’s the same with hospitals isn’t it? RUSS: Absolutely. Yes – Battersea General – long gone – was my childhood house of pain. Known by locals as the ‘Anti-viv’ or ‘Old Anti’ — because it was against animal experiments/vivisection. Pretty building. 1890s. Sort of Italianate style. Right by the Park. Closed in the early 70s. But yes — hospitals after dark… can be quite spooky. I’d like to have included a few more of those empty corridors for atmos — but the schedule was very tight. DAMIAN: We see Nurse Monica Hicks return briefly in this film but, as we’ve mentioned in the past, the potential of her character was never really fully explored. 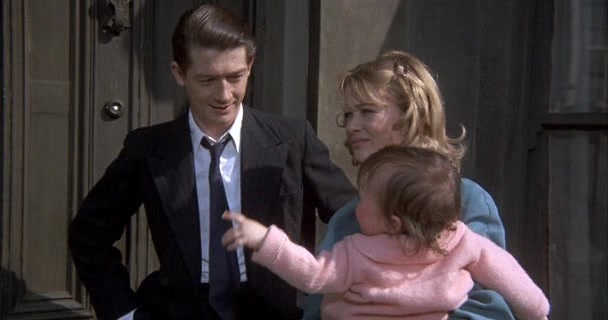 So it was with some interest regarding female characters on the show, that in my interview with Dakota, she said that ‘When I first auditioned for Endeavour I was sent an episode to read in which Trewlove had only four lines. I was promised that the character would grow and develop into one of the gang as the series went on’. To what extent do you think you’ve succeeded in keeping this promise? RUSS: Jim Strange’s move across to CID left us without a uniform presence – Bright notwithstanding. But obviously Strange was much more a rank and file foot-soldier – whereas Bright is brass. So – in all honesty – there was no need to have a regular uniform constable at all. We could have had a roster of rolling PCs – but it’s nice to have some continuity, a recurring character the audience can readily identify. In terms of plot – as often as not it’s uniform who are first on scene. One can either have their findings as reportage via one of the CID regulars, or first hand from a uniform. I was interested in looking at a woman’s place in a pretty boysie environment, hence Trewlove. 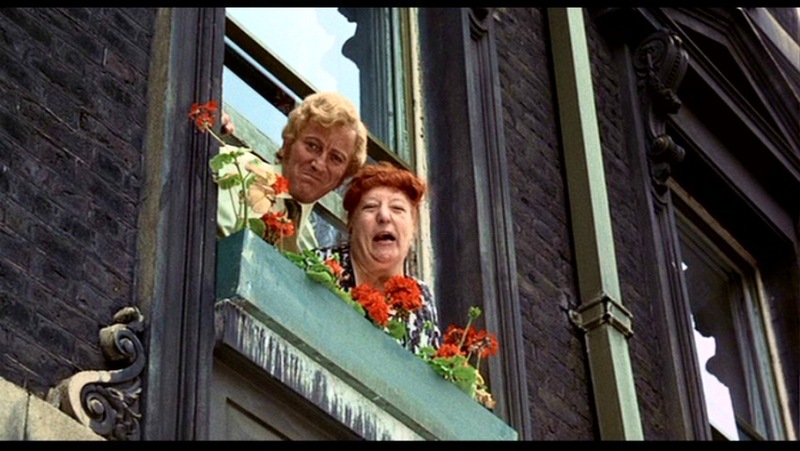 If you consider INSPECTOR MORSE and then LEWIS there were very few recurring characters beyond the central duo. With ENDEAVOUR we have around ten. Screentime across 89 minutes is at a premium, so all our characters have to punch above their weight, always. I try with all of them to provide a moment or two in the sun – as the story allows. I think the affection in which Trewlove is held by the audience suggests that she has punched through. DAMIAN: Dakota also said that she ‘didn’t know anything about the character – what sort of a person she was, where she came from or where she might end up’ and that ‘Trewlove was something I had to figure out on my own’. Given the delightful detail in which you’ve previously talked to me about some of the influences and inspirations for Trewlove, why didn’t you share these with Dakota? RUSS: Mmm. Those details are useful from a casting point of view — and inform what I put on the page. Beyond that, it’s for the director to convey to the actor what they want from a performance — hopefully in service of the writer’s intent, which is something we’ll have discussed before they get on the floor. Beyond that — I’m always available to discuss further if there are things an actor is bumping on in the script. The whole notion of ‘character’ – not to be confused with ‘back-story’ – is a much bigger conversation – and one we don’t really have room to go into it here. 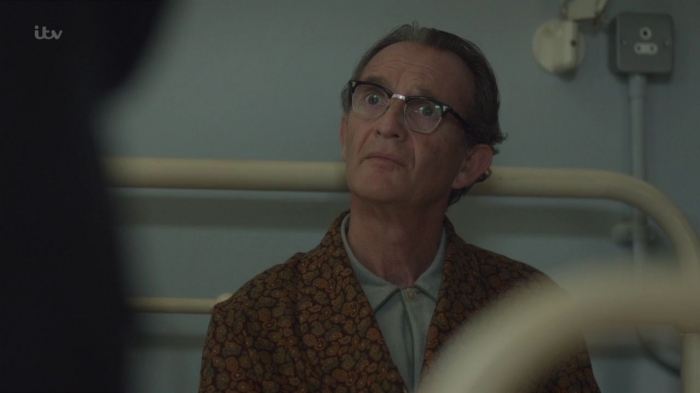 DAMIAN: I loved the warmth and beauty which you gave to the scenes with Trewlove watching over Bright at the hospital but what was Anton Lesser’s reaction to being confined to bed and unconscious for most the episode? RUSS: He took it lying down. Anton is a joy to write for. His instincts are flawless. He just gets it. Every time. I don’t think he’s ever baulked at a line, or a situation we’ve put him in. The greater the artist, the smaller the ego. Any and all vanities set aside in service of the drama. He just brings his A Game – as they say. Every day. I don’t think he has a B-Game. You just sit back, and watch, and delight and revel in his greatness. And he’s a great sense of fun – and not a little mischief. There’s a lot of laughter – particularly at read-throughs. So – yeh… Hearing he’d agreed to play Bright was one of the better days at the office. DAMIAN: I’ve been banging on about wanting to see Mrs. Bright for some time so it was somewhat frustrating to learn that she was away on a trip during his stay at hospital. Wouldn’t this have been the perfect opportunity to introduce her character? RUSS: I’d refer you to my earlier answer. At 89 minutes — there is only room for so much anything. We already had to reduce some of Caroline’s material, and a whole strand for another guest character. Bolting on Mrs.B would have meant even more would have been lost. Each thing in its season. DAMIAN: Bright seems unimpressed when Library Trolley Lester says he might be able to get him a copy of Lady Chatterly. Since you’ve denied audiences a peek into the Bright residence, I wonder what sort of titles might occupy his bookshelves? RUSS: Until returning to Britain from the colonies, the Brights have always been on the move – so I don’t imagine the library to be extensive. Mostly non-fiction up Bright’s end of the bookshelf. Guides to some of the places he’s lived in. A long cherished Scouting For Boys; Coral Island; Treasure Island; some Sir Walter Scott, and a bit of Henty. His reading material a counter-weight to Mrs.B’s Bloomsbury end. No euphemism intended. 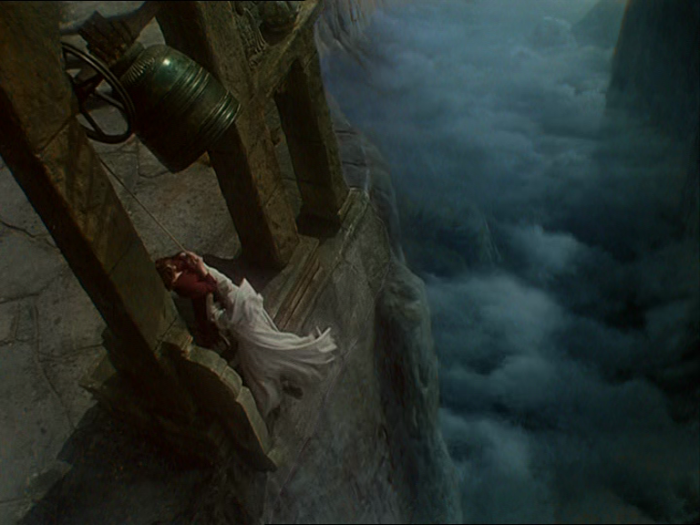 DAMIAN: There’s more than a whiff of Black Narcissus about this film. 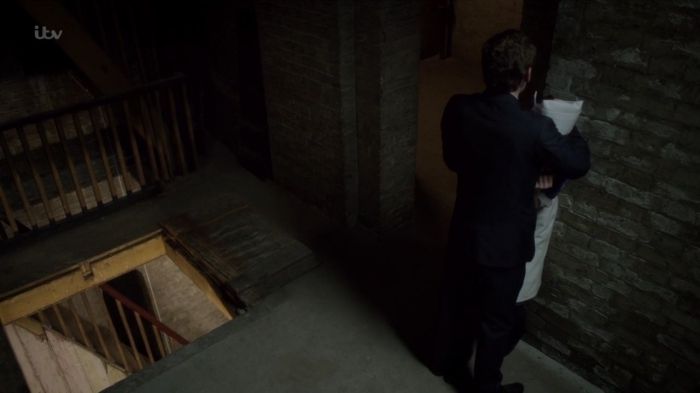 In addition to some of the names (Dr Powell and Sister Clodagh) the script calls for a chapel/high place: ‘Locationally dependent… either a stairwell void, exterior or rooftop’. 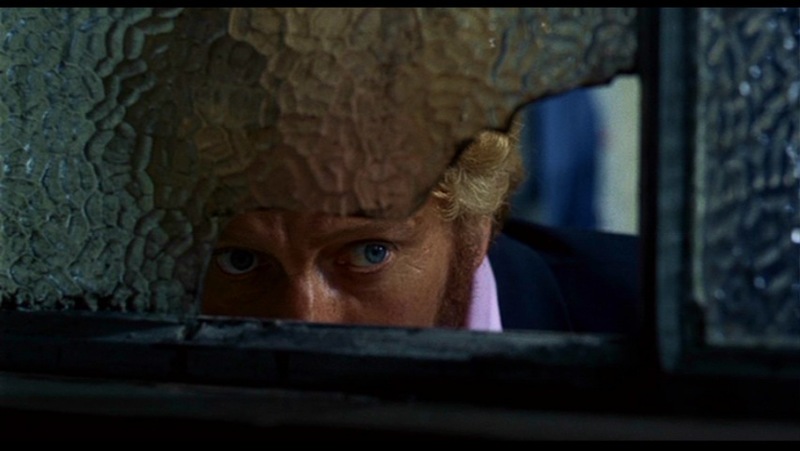 Putting either budget or available locations aside, what exactly did you originally envisage and were the colours somewhat reminiscent of the great Jack Cardiff in your mind’s eye? RUSS: Well — you’ve put your finger on it. 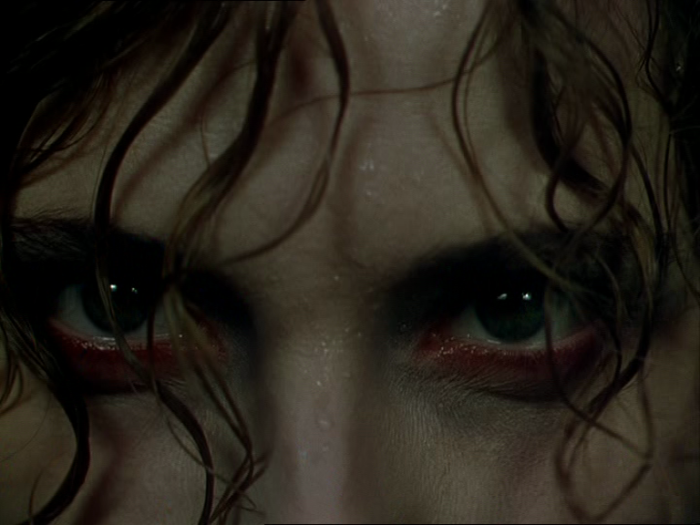 Black Narcissus definitely underpinned our intentions with Lazaretto. I think early drafts had it finishing on the roof. 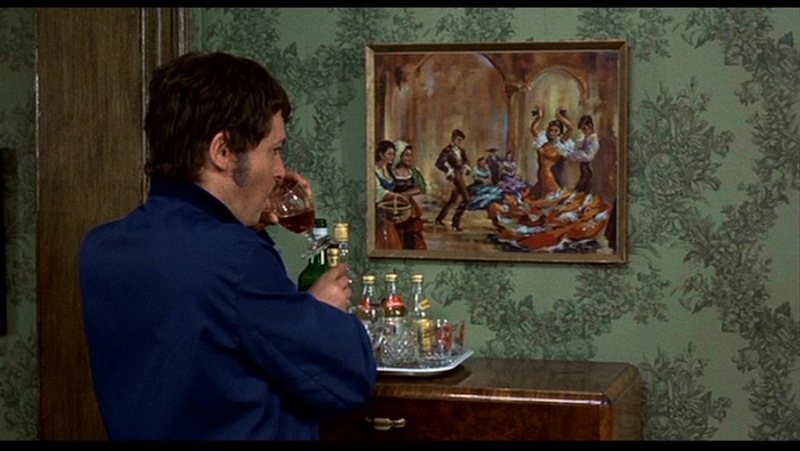 In terms of colour, it would have been lovely to invoke the climax of that picture, but you have to be guided by what’s available – and, of course, the choices of the director and the DoP. It goes back to the earlier point about character. I could slather on detail in stage directions and make things madly specific, but to be so prescriptive would be profoundly unhelpful to Production. Better to give them the ‘idea’ of what I’d like and leave it to the Location Manager’s talent, skill and expertise to offer a range of options. It always comes down to this – What is necessary to deliver the beat? They found the tower stairwell — and that served very well. 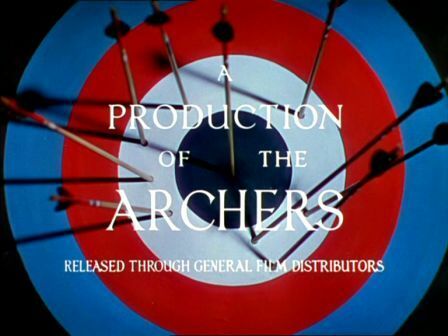 DAMIAN: Long before the likes of Merchant Ivory Productions in the 80s and Richard Curtis in the 90s, to what extent do you think those Powell and Pressburger films first truly defined (at least for audiences abroad) British identity during and immediately after World War II? RUSS: That’s a good question. To a degree, I suppose. I’m probably less interested in what it says about how we were seen abroad, than in what they were saying about how we saw ourselves at the time. One of the many admirable things about the Archers productions is that they were made for a mass audience. There’s never any talking down – or a hint of pulling in of their ambition because they think a section of the audience won’t ‘get it’. 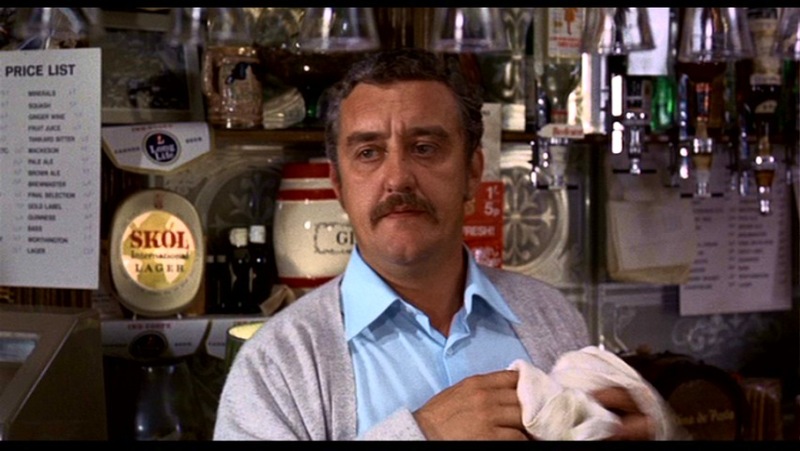 DAMIAN: Funny, but if someone asked me about British identity or film images and cinematography that closely matched my own first vivid impressions of the country and memories of childhood, I’d say, for some very strange reason or another, Hitchcock’s Frenzy every time. 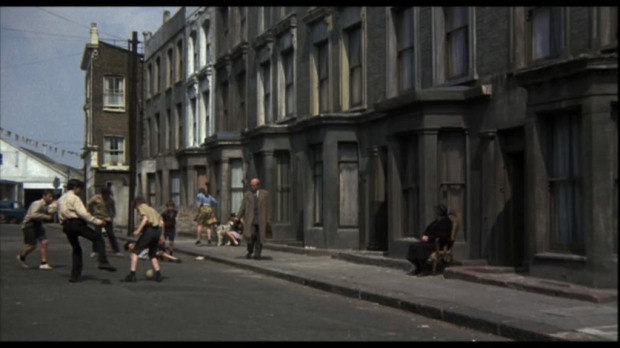 Yes, it’s an odd choice because it obviously evokes Hitch’s childhood in the East End and not my own in Stoke, and yet, there’s just something about the cars, clothes and the general colour and “smell” of it all that resonates deeply; something strange and unsettling bubbling under the surface. Eyes watching. Now, I know I seem to be continuously obsessed with questions regarding your childhood but, as I hope readers will agree, they do help to inform our understanding of your writing. So, given that you clearly draw upon them time and again in Endeavour, can you please try to give me an example of a film that visually echoes your first memories? That’s not quite as facetious as it sounds. There were still bits of London that bore signs of The Blitz. Little areas that were still very ‘Hue and Cry’. 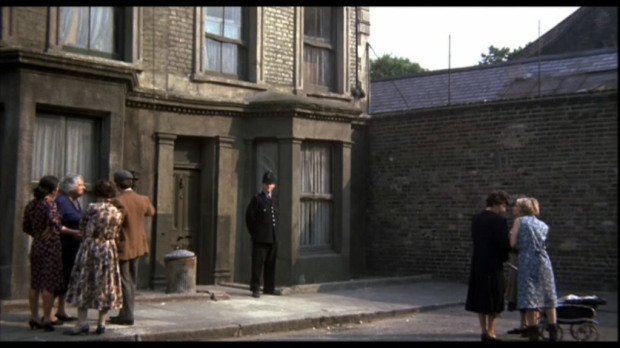 Around ‘70, we shot bits of Sunday Bloody Sunday in Spencer Park – about five minutes away from where I grew up. So I can always stick that on. There was a sequence in that (spoiler alert) where something happens to the family dog. 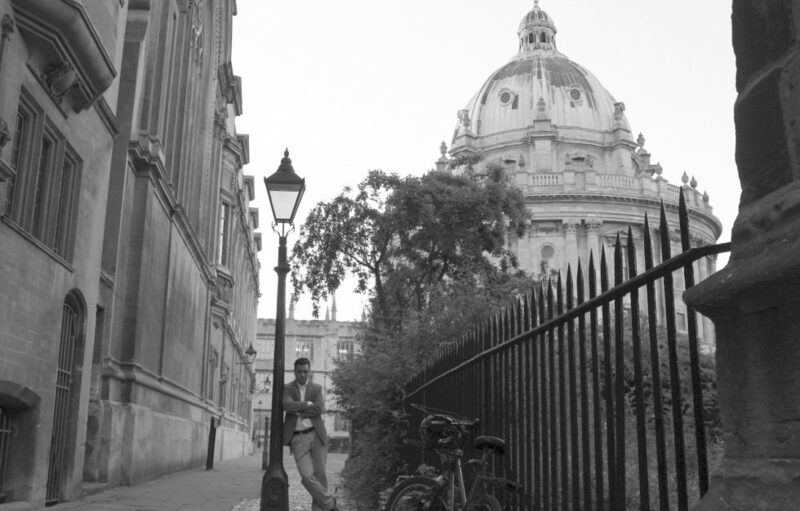 Shooting on location, we used a squat as a base for wardrobe and make-up. I have a strong recollection of Afghan coats, pachouli oil and dope. It was all very ‘Withnail’ – so that’s another touchstone. 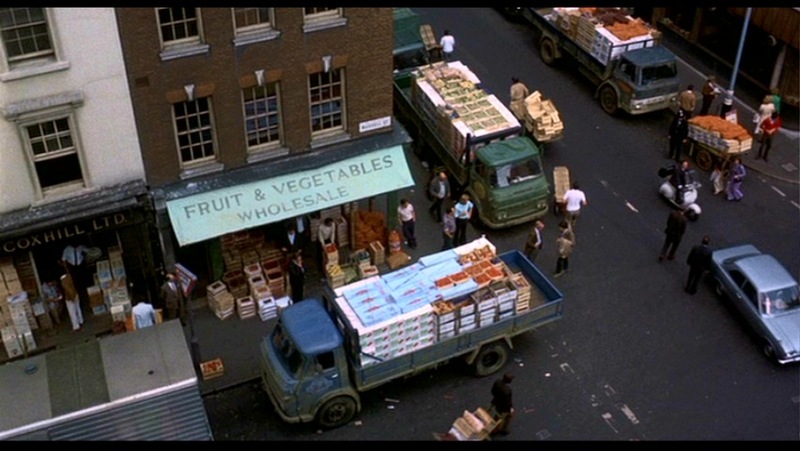 The Art Direction – like everything else about Bruce Robinson’s masterpiece – is just superb. Bits of Blow Up. Weirdly — but not more weird than any of these, I suppose — the first series of Catweazle catches lightning in a bottle. Essence of ‘69. Some aspects of Pete Walker’s ouvre make for a terrific time capsule. The opening of Frightmare – that features Andrews Sachs very briefly – is Battersea Park, where I spent a lot of time as a boy. 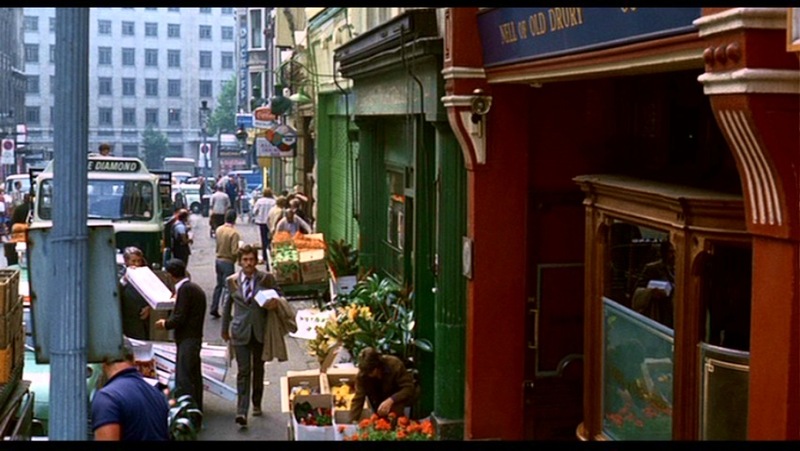 And the Susan George picture Die Screaming, Marianne – which I think also features Barry Evans — has some good London stuff. But going back to Withnail — one of the many things it absolutely pins down is just how bloody cold and damp it was. Britain before Central Heating was the norm. Now, it’s underfloor heating. Then, you’d wake to ice on the inside of the window panes. DAMIAN: We finally see Joan Thursday in Leamington Spa which seemed a curious choice of location. Would this have anything to do with a certain by-election which took place there in The Thick of It? RUSS: No. It just struck me as somewhere interesting for her to wash up. Rog had reservations that we wouldn’t have found flats such as she was living in — but a bit of digging turned up some not dissimilar. There are, of necessity, some blank pages which cover how she got there, but it was as much to do with her ‘fancy man’ as anything else. ENDEAVOUR: You know, it’s hard to believe you’re anything to do with Susan at all. CAROLINE: She’s a romantic. Like her father. That same streak of pity for life’s not-quite-up-to-its flows through her veins. Still. You cured her of that. I suppose I should be grateful. She never loved you, Morse. CAROLINE: Oh. Poetry. I’d forgotten that particular affection. The last refuge of the emotionally incontinent. You think you have a monopoly on feeling. Well, you don’t. I feel things too. Just as much as you. More so, perhaps. 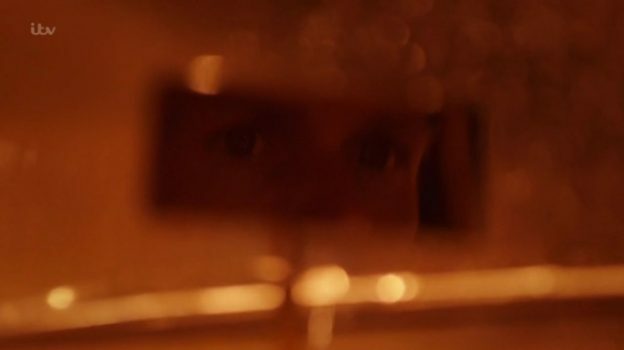 ENDEAVOUR: What do you feel, Caroline? CAROLINE: Real things. The things that dragged us out of the primordial slime. That make us strong. Pride. Anger. Resentment. Jealousy. Hatred. CAROLINE: Oh yes? Giver her? Give her what? Your love? 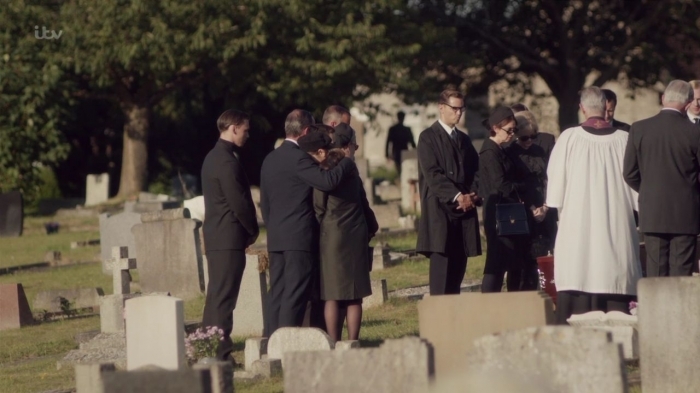 ENDEAVOUR: Condolences. I was going to say. Give her my condolences. Whatever you think of me, I’m sorry he’s [Mr Bryce-Morgan] dead. Truly. CAROLINE: I wish you were dead. You’ll die, Morse. You’ll die old and alone. And no one will give a damn. 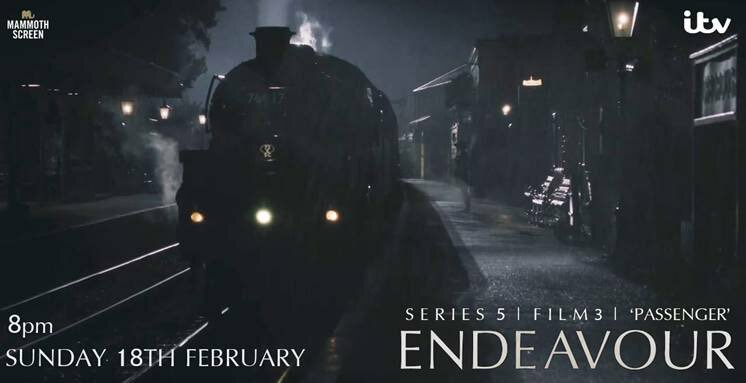 Although I understand why she’s so hurtful in this particular scene, why exactly does she hate Endeavour so much in the first place? RUSS: I think she resented his coming between her and Susan. Some mother/daughter relationships can be unhealthy. Controlling, Caroline felt she had married… unwisely, and was to a degree attempting to rectify her own mistakes by managing her daughter’s life better than she felt she had managed her own. Endeavour was potentially a spanner in the works. She had to see him off. DAMIAN: Described as a young Joanna David in her mid-late 20s, we see Susan for the first time (her “appearance” in First Bus to Woodstock obviously doesn’t count) at her father’s grave, I wonder if you originally had any plans to introduce her properly in the following film or films? RUSS: We’re mindful always of the Prime Directive. DAMIAN: There are also various other mourners mentioned in the script including William (a young Richard Pascoe) and Henry Fallon, and curiously given we’ve already had a parrot in the film, a manservant with an eyepatch! Who’s that then? RUSS: A young McGregor! Who else?! DAMIAN: Just time for one more question before I leave to catch my train, can you say something about Film III: Passenger? RUSS: Our Ladybird Book of the Railway. The jumping off point was the Varsity Line which ran between Cambridge and Oxford, and its closure at the end of 1967. Interestingly, it was one of the few closures that didn’t arise from the Beeching review. It appears it had simply become more practical for passengers travelling in either direction to use London as a nexus. So – that was the grit in the oyster. I’ve got a thing for lonesome stations, and old branch lines. 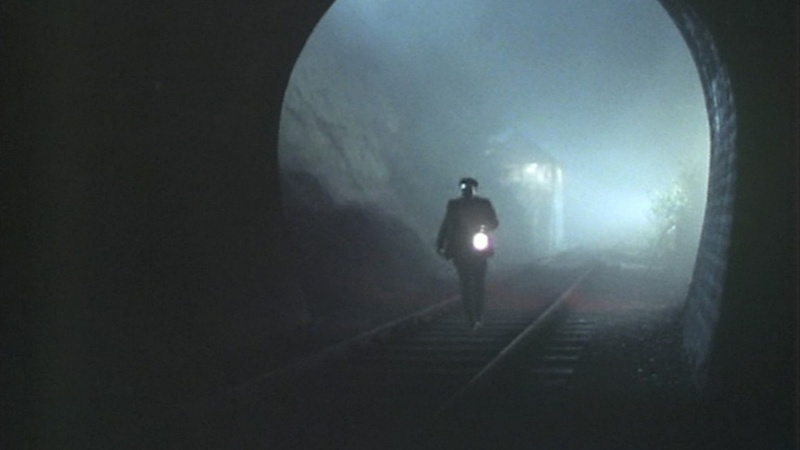 Blame The Signalman, amongst others, I suppose. Tickets, please! This entry was posted in Endeavour and tagged Damian Barcroft, Damian M. Barcroft, Damian Michael Barcroft, Endeavour, Endeavour Series 5, Endeavour Series 5 interview, Russell Lewis, Russell Lewis Endeavour interview, Russell Lewis interview, Russell Lewis Lazaretto Interview on February 18, 2018 by Damian Michael Barcroft.